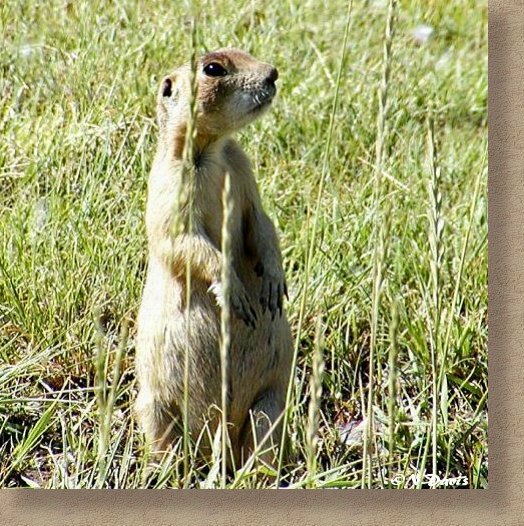 Prairie Dogs are stocky, pinkish buff mixed with black above; slightly paler below. <>Short, white-tipped tail; terminal half entirely white. Length 13 to 14 inches, Weight 24-40 oz.